Trevor Borg writes a critical analysis of the Valletta International Visual Arts (VIVA) Festival now that it has come to an end. The below is Trevor’s personal opinion which does not necessarily reflect the position of the Valletta 2018 Foundation. I have been entrusted with writing a critical review of VIVA 2015’s exhibitions currently being held in various spaces around Valletta, predominantly at Spazju Kreattiv, Malta’s National Centre for Creativity. I decided to approach this critical review thematically rather than discussing works or artists individually. Firstly, because I tend to shy away from tried and tested approaches when it comes to contemporary art, and secondly, because the event is intrinsically structured by thematic. Like in any other collective show, not all the works in VIVA sit neatly or happily next to each other; even international biennales contain such discrepancies. This is normal and healthy since it allows the viewers to interpret and gauge a wide range of works of varying stature. The main hall at Spazju Kreattiv is taken up by video screenings and large scale projections concerning ‘The Culture of Ageing’. This exhibition brings together the works of various artists that investigate and respond to the inevitable phenomenon of growing old. A number of projects are intriguing, captivating and manage to attract the viewer’s attention since they provide unorthodox perspectives on the thematic of the show. I tend to favour works that avoid closure; works that evoke questions rather than attempting to field out ready-made solutions and I was not disappointed. Complementing the videos and projections are also photographs, drawings and sculptures, all discussing the same theme. In my opinion, and I’ve also discussed this with other viewers who seemed to share a similar viewpoint, a few of the works relate heavily on sociological material. Rather than evoking questions about the nature of the theme, they seem to question, above all, their existence within such exhibition. The lower halls at Spazju Kreattiv have been appropriated by powerful imagery that evokes territoriality, dispossession and contestation. The video works are eloquent and they transgress into unexplored territory without restriction or inhibition. They literally and physically push at the boundaries of containment; weaving and juxtaposing multiple critical narratives that unsettle any romantic perceptions about art. The upper floors brim with art happenings oozing from each and every crevice. Here a word of gratitude for the staff is in order since they have ably transformed the space into a series of compound worlds that resonate with the works on display. ‘Good Walls Make Good Neighbours’ brings together the work of several artists responding to issues relating to boundaries. I was particularly intrigued by the audio-visual installations; all very powerful and pungent. The complex setups enhance the nature of the work and the curator’s acute sense of detail is apparent in every inch of space appropriated. While the majority of the works approach boundaries and enclosures in a forceful manner by politicising and problematising such notions, others appear to have approached the theme rather superficially, in my opinion, considering the tension boundaries are generally charged with. 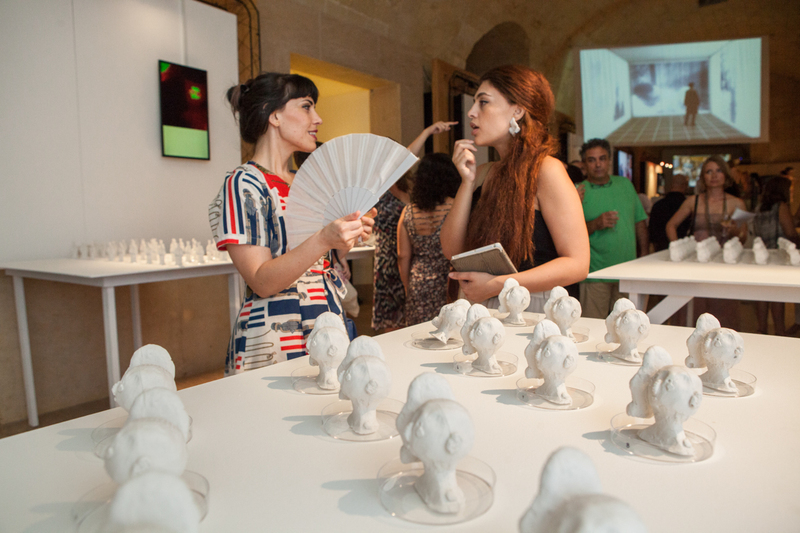 ‘Divergent Thinkers’, now in its fourth installment, ‘has established itself as one of the main cultural events for emerging visual artists in Malta’, according to Dr Raphael Vella. As art educator I think it is only fitting to use this space to promote the work of emerging artists: Matthew Schembri; Umberto Buttigieg; Maxine Attard; Ryan Falzon; Moira Agius; Martina Galea; Javier Joseph Formosa; and Chiara Monterosso. ‘Connect’, is the theme of the exhibition and it has been approached in different ways ranging from painting to sculpture, installation, performance, drawing, photography, digital art and documentation. All the works, in one way or the other, can be categorised as socially engaging. The show is evidence of the experimental and contemporary nature of the work of local young artists. ‘Beltin’ and ‘Unlock’ are being held at separate places outside Spazju Kreattiv, giving the event a spillover effect which has the potential to spill further in future. In view of the Valletta 2018 hype, it is interesting to see how the curator has intelligently embarked on this event to put the people of the city under the spotlight. ‘Beltin’ portrays different characters, some well known, all hailing from the City. The photographic technique used imbues the portraits with a nostalgic aura; a historical-present that is Valletta. ‘Unlock’, takes a totally different approach, however, it too involves a particular type of community since it implicates a group of inmates from the Corradino Correctional Facility. 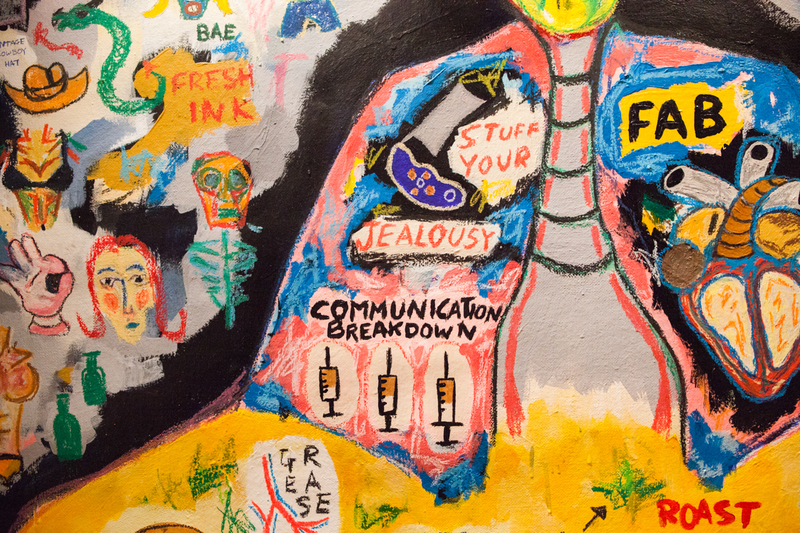 The work can be described as transformative since it allows inmates to engage in artistic practice as a means of voicing their concerns and preoccupations. The work also speaks about borders since it questions the contested perceptual space that dominates the inside and outside world. VIVA 2015 engages with highly relevant themes; it foregrounds actuality and it opens up possibilities for further practice. It offers a strong platform for exchanging views and nurturing discussions about contemporary issues and artistic practice. Given the restricted size of our country, and the restricted mentality that is still alarmingly and unfortunately very much present even at the so called top layers of society, VIVA is nothing short of a tiny miracle. We need to expose the country to contemporary art more often since exposure yields familiarity. VIVA spells hope for those in the creative sectors who have invested their time and energy for artistic purposes and have to struggle to get their work to the viewers in a country which thrives on commemorating the past. There is obviously nothing wrong with that but we must always keep the present and future in sight. While VIVA should grow in the years to come we must also consider the limited space and resources afforded by a small country like ours. Perhaps, if we want to go larger, it would be better to hold such events every other year. This should give us ample time and space and equip us with more resources to create events of an international stature. I would like to take the opportunity to thank festival director Dr Raphael Vella and all the cultural entities that have joined forces to give us a much anticipated high caliber event. Well done.